A windswept croft on the Hebridean Isle of Skye - the studio of textile designer, weaver and painter Maggie Williams. ‘Maggie Williams’ is a luxury woven textiles company, founded in 2011, based on the Isle of Skye. We use high quality natural fibres, predominantly merino and lambswool, spun and dyed in Scotland, to give beautiful softness, warmth and lightness of weight. 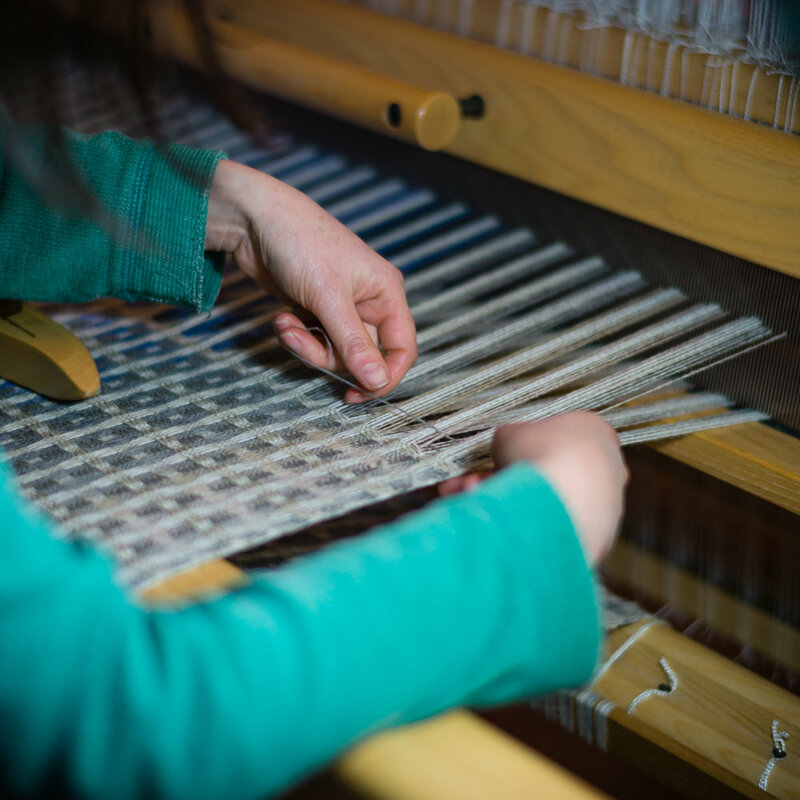 All our designs are sampled by Maggie on a traditional dobby loom in our studio and are then either skilfully hand woven here in the studio, or in small runs at Scottish mills, before being hand finished on Skye. By using traditional time-honoured skills and craftsmanship, we create timeless heirloom quality pieces, produced in a sustainable and ethically responsible manner. ‘Inspiration is gained from my surroundings; be it the play of light on inky seas, the ever-changing weather, lichen encrusted rock, the delicate tapestry of wildflowers on machair, undulating lines of ancient lazy beds, or the stark beauty of the rugged landscape. Natural fibres, predominantly soft lambswool, interlace and entwine. 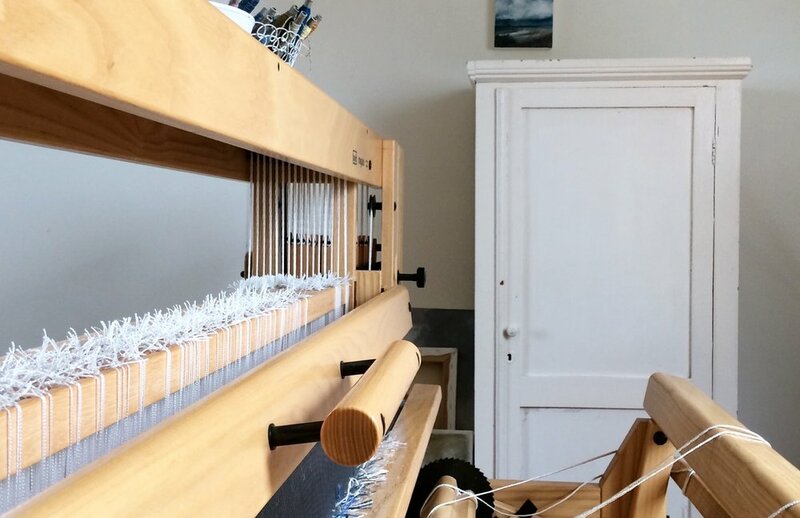 The weaving process is hypnotic; shafts with hundreds of heddles rise and fall, the reed beats methodically, the shuttle passes marled threads from side to side, pick after pick, a rhythmic thud and clatter as cloth is produced – repetitive and mesmerising. This is my home. These things are my family. 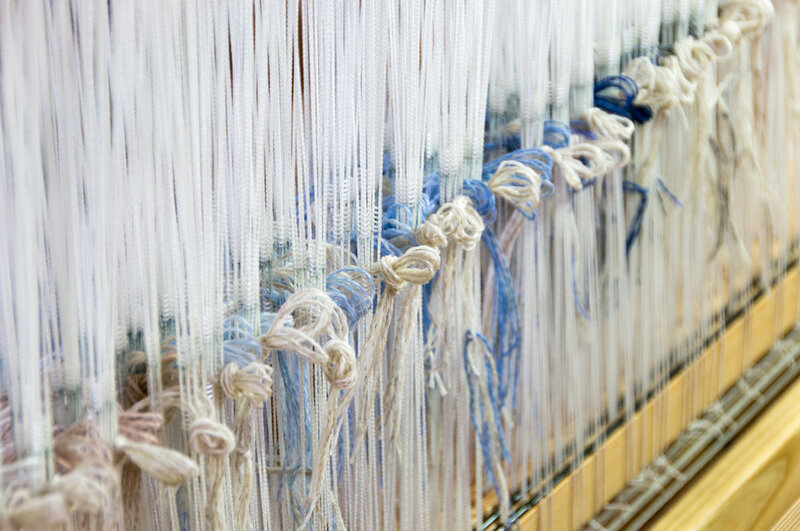 The sound of the loom is my music. The soft colours of the machair and the restless sea are my picture books.